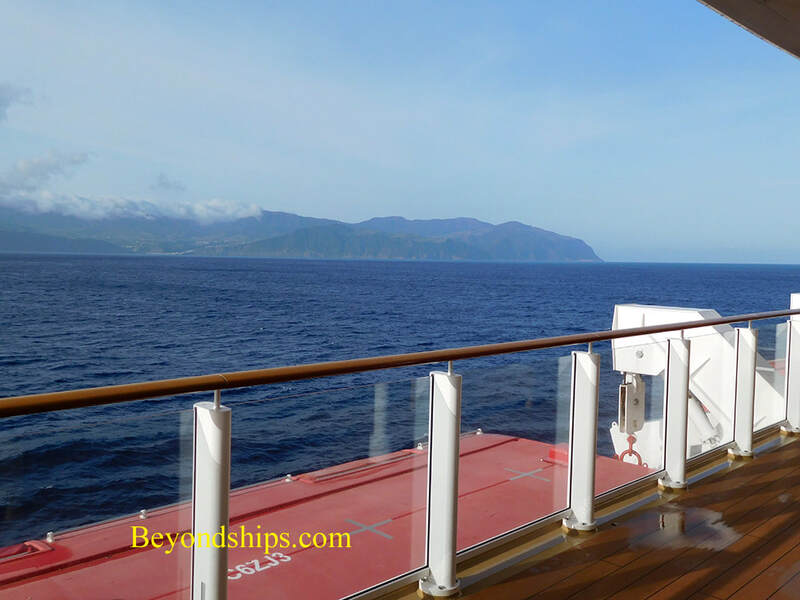 Beacuse it is in the middle of the Atlantic, the Azores is a popular port of call for cruise ships re-positioning between America and Europe. 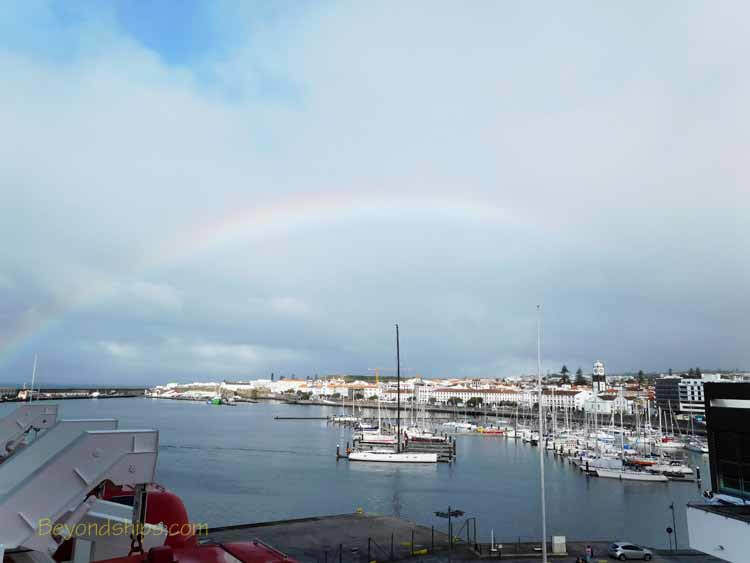 As a result, the Azores busiest seasons for cruise ships are the Spring and Fall. It is also someti,es on the itinery of cruises going from the UK to the Canary Islands. The fact that it is in an out of the way location also means that it is not overdeveloped. While tourism is an increasingly important part of the Azores's economy, it has not become commercialized. Iat this point, it still has spectacular natural scenery and the towns and villages still retain a traditional Old World flavor. The Azores were uninhabited when Portugese settlers arrived in 1430s. Many were Portuguese Sephardic Jews seeking to escape the Inquisition. Later, they were joined by a large continengent of people from Flanders. Although the economy established on the islands was agriultural, it did not develop into Caribbean-style plantations and so few African slaves were brought to the Azores. During World War II, the Allies established bases on the Azores. Beacuse the middle of the Atlantic was out of the range of aircraft based in North America and aircraft based in Britain, Allied convoys were partciularly vunerable to attack by German U-boats in that area. With air bases in the Azores, the Allies were able to patrol the middle of the Atlantic and hunt the U-boats. Thus, the Azores played a significant role in the Battle of the Atlantic. They played a similar role during the Cold War, acting as bases for aircraft tracking Soviet submarines. 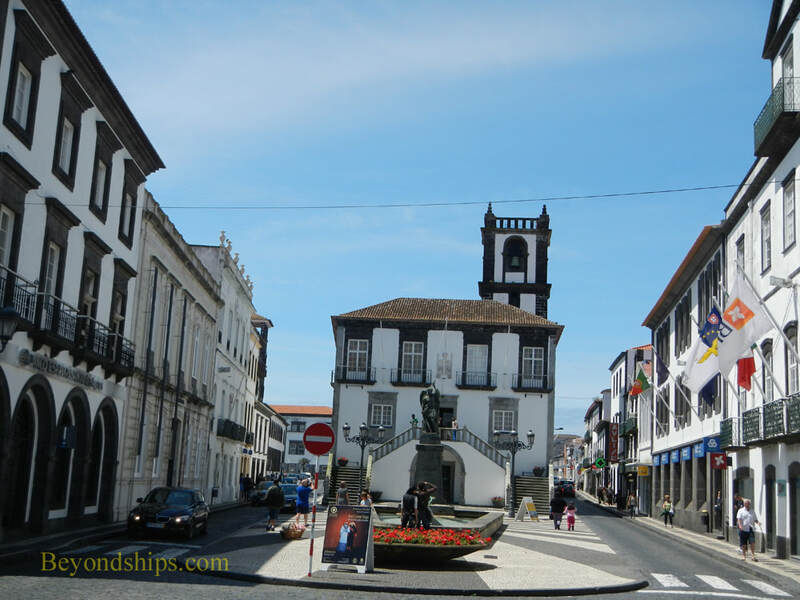 In 1976, the Azores became an autonomous region of Portugal. Thus, they largely make their own laws but they are not completely independent. As a result, the official language is Portugese and the currency is the Euro. 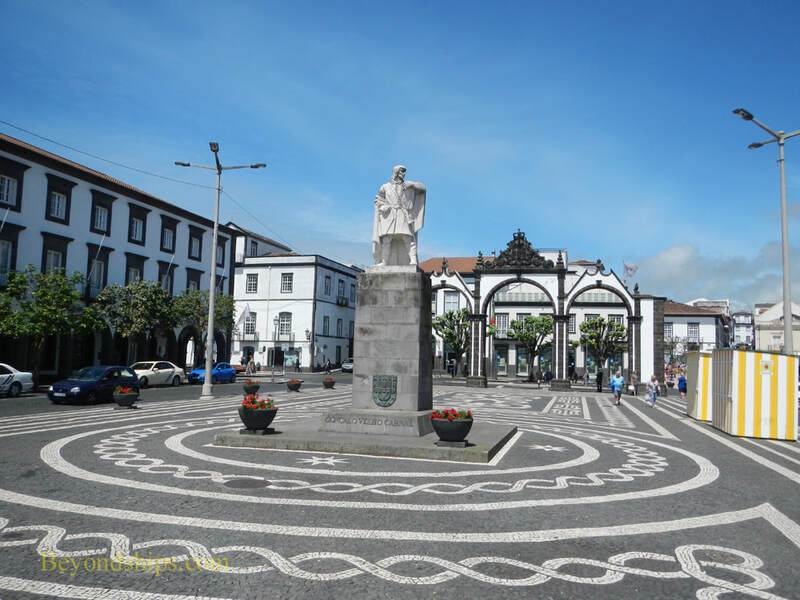 The seat of the Presidency of the Autonomous Region of the Azores is in Ponto Delgado on the iAzores' largest sland Sao Miguel. 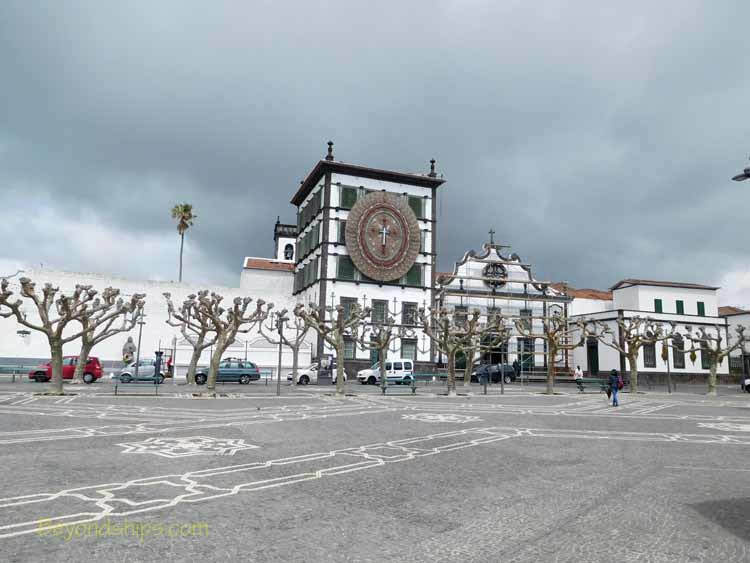 Ponto Delgado is a small city with picturesque churches, splendid parks (see separate article) and a few museums. As in Lisbon, some of the squares and some streets have designs embossed into the pavement. There are restaurants and cafes but this is not a party town. There are also shops but this is not a Caribbean-style shopping port. Outside of town, the scenery is often spectacular and unspoiled. The Azores are volcanic in origin and there are still calderas, volcanic vents and hot springs. The weather is unpredicatble. It is a mild climate but storms blowing in from the Atlantic can change the weather suddenly. Thus, a day that begins cloudy may end sunny and vice versa. 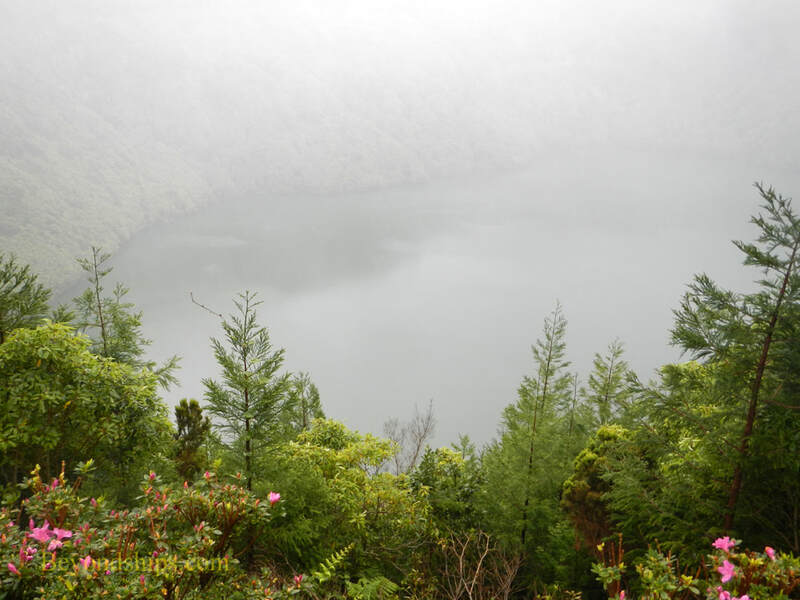 Much of The Azores is unspoiled.Above: A lake surrounded by forest in a dormant volcano. 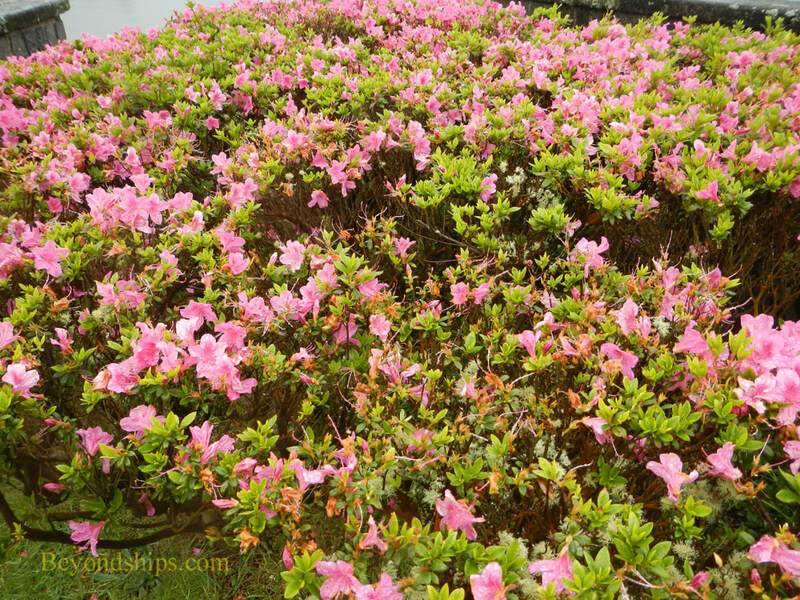 Below: Flowering plants are plentiful. 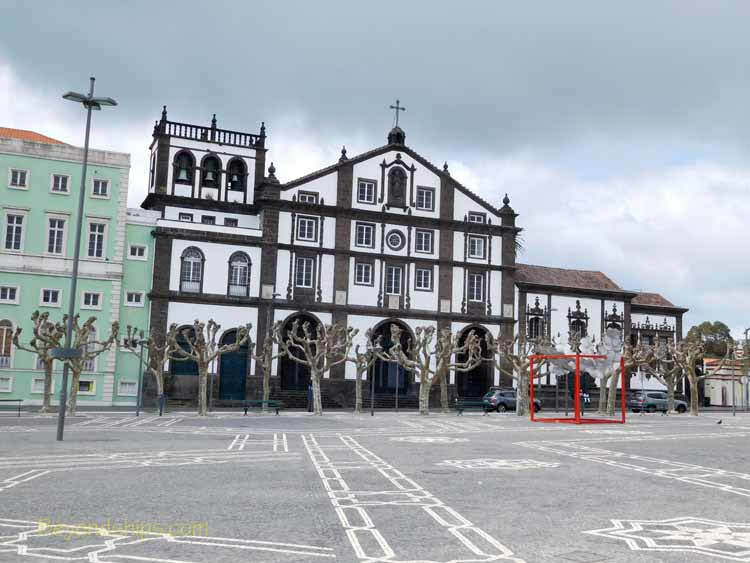 Above and left: The main square (Gonçalo Velho Cabral Square) and city gates (Portas da Cidade) in Ponta Delgada. The gates date from 1745. 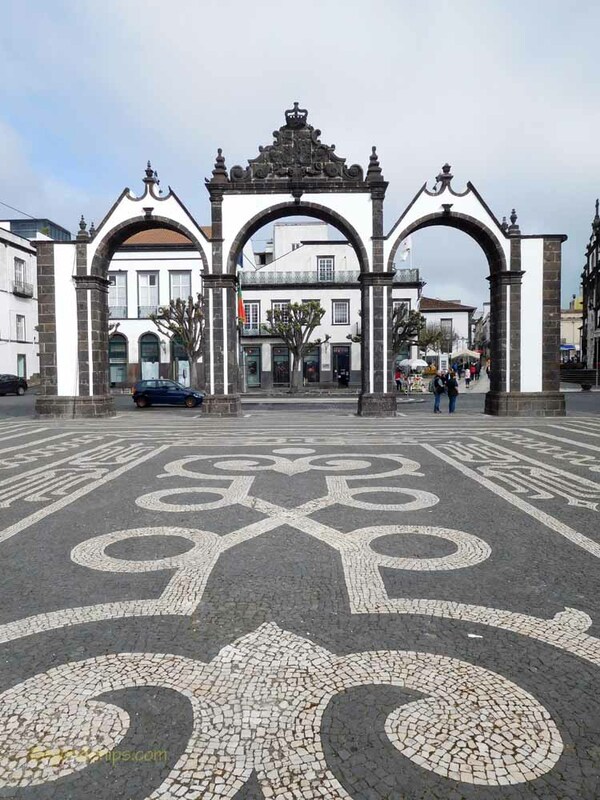 ​Below: Ponta Delgada's city hall. ​Below: Forte de Sao Bras was begun in 1522. It remains a base for the Portuguese navy but it also contains a military museum, which is open to the public. 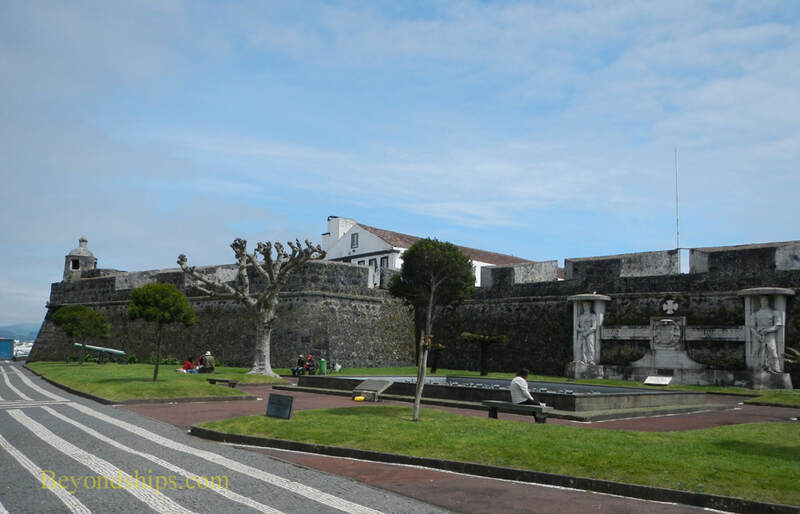 Above left: Convento de Nossa Senhora da Esperanza in Ponta Delgada dates from 1545 and is a spititual center of the islands. Pope Paul III donated a statute of Christ to the convent in the 15th century that is still carried in religious processions each Spring. Above right: The Church of Sao Jose is in the same square as the convent. It was once part of a 17th century Franciscan monastery and has Mannerist and Baroque features. Above: The coastline of Sao Miguel has towering cliffs that plunge into the sea.